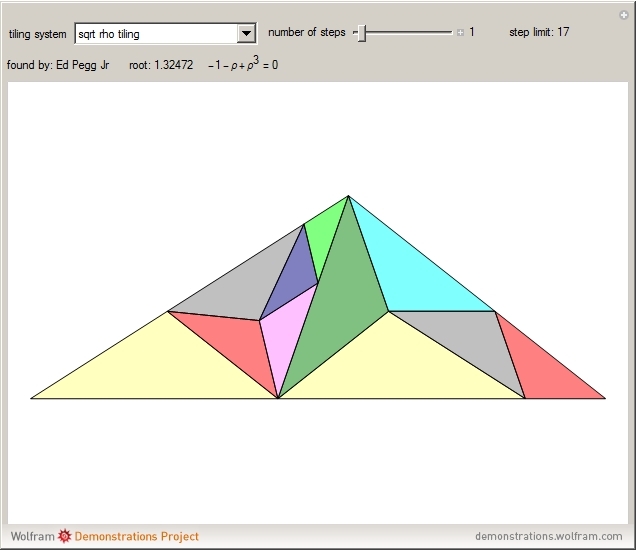 The pinwheel tiling divides a 1-2 triangle into five similar right triangles, an example of a substitution tiling. 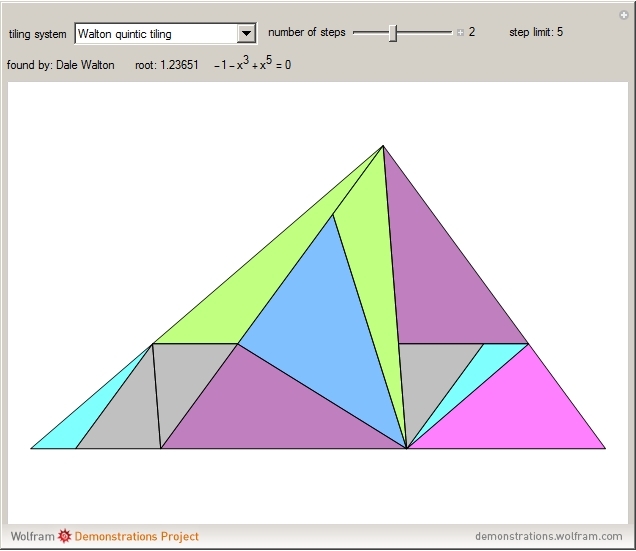 This Demonstration shows a variety of different substitution tilings. Set "number of steps" to 0 to see the underlying system. Wikipedia. "Substitution Tiling." 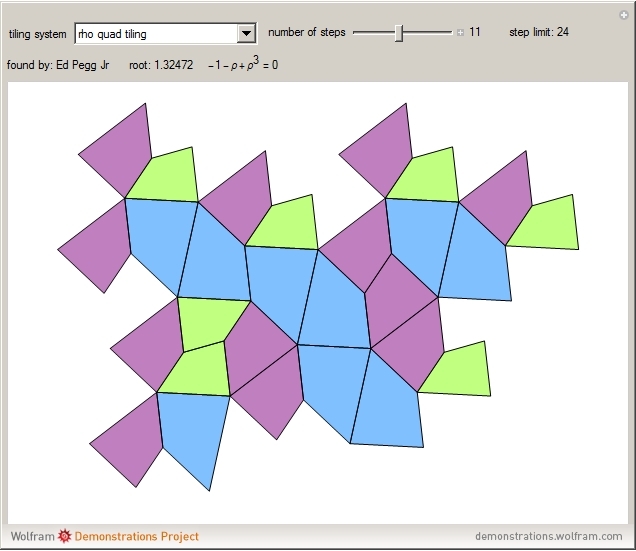 (Apr 4, 2019) en.wikipedia.org/wiki/Substitution_tiling. 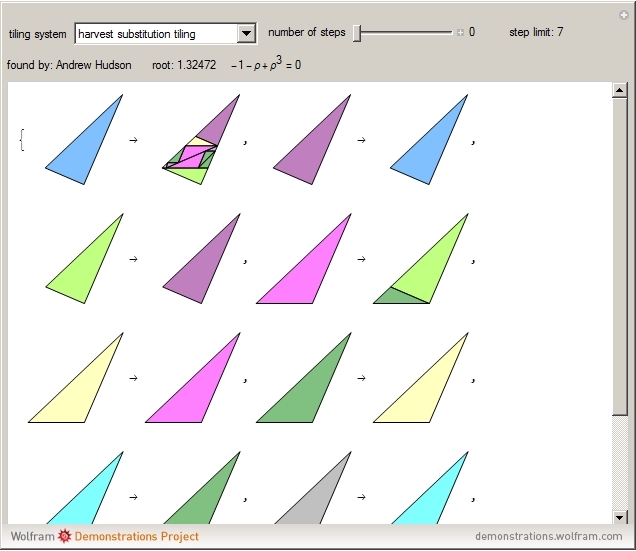 E. Pegg Jr. "Shattering the Plane with Twelve New Substitution Tilings Using 2, φ, ψ, χ, ρ" from Wolfram Blog—A Wolfram Web Resource. 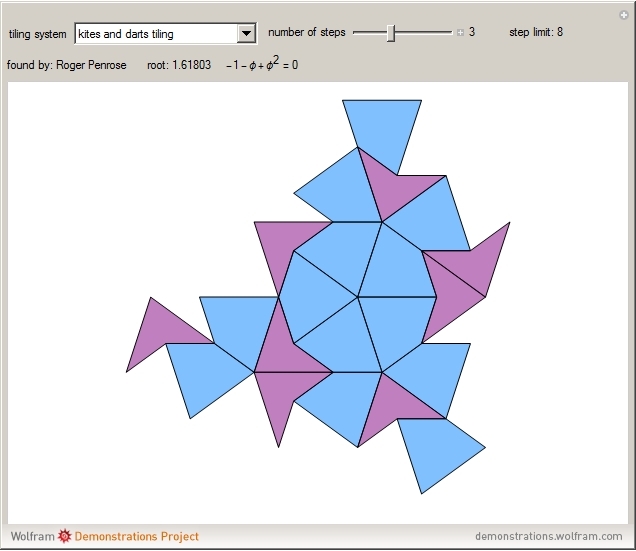 blog.wolfram.com/2019/03/07/shattering-the-plane-with-twelve-new-substitution-tilings-using-2-phi-psi-chi-rho.